Incorporating a variety of exercises into your workout routine maximizes the benefit you get out of each session. By hitting multiple muscle groups in different ways and from different angles, you build strength through a full range of motion and increase endurance so that you can do more in future workouts. Whether you’re an avid exerciser with a specific purpose in mind for your routine or your focus is on overall health, knowing how to use isotonic and isometric exercises to your advantage brings variety to your workout and can help you reach your goals. 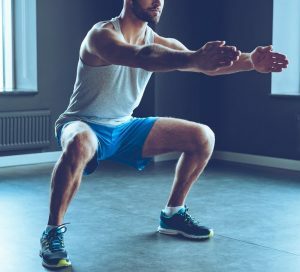 Knowing the differences between the two types of movements and how to perform isotonic vs isometric exercises allows you to get the most benefit out of each style of training. To understand how these contractions work in practice, picture doing a biceps curl. 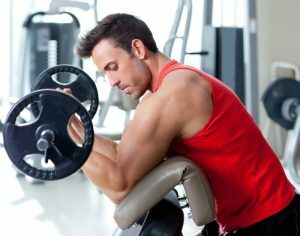 As you lift the weight up toward your shoulder, your biceps contract concentrically. When the weight comes down, the contraction becomes eccentric. The muscles resist the load of the weight through the whole range of motion. Instead of equal tone, the isometric exercise definition indicates equal measure or length. Isometric exercises place tension on your muscles just like isotonic ones do, but the muscles don’t change length during the contraction. The tension doesn’t overcome the weight of the object against which you’re pushing or pulling, so you stay in place while targeting a specific muscle or group of muscles. Your joints must also remain stationary and not change angles to maintain proper form. 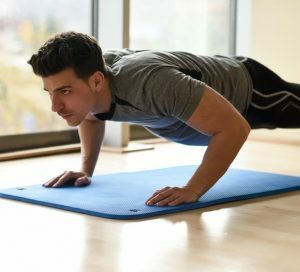 Isometric exercises may be described as “overcoming” or “yielding.” An overcoming exercise involves pushing against an immovable object, such as the floor when in a plank position. Yielding requires you to maintain form against a force, such as when you stretch a resistance band between your hands. Both types are static holds, and you’re meant to use as much strength as possible to activate your muscles during each exercise. 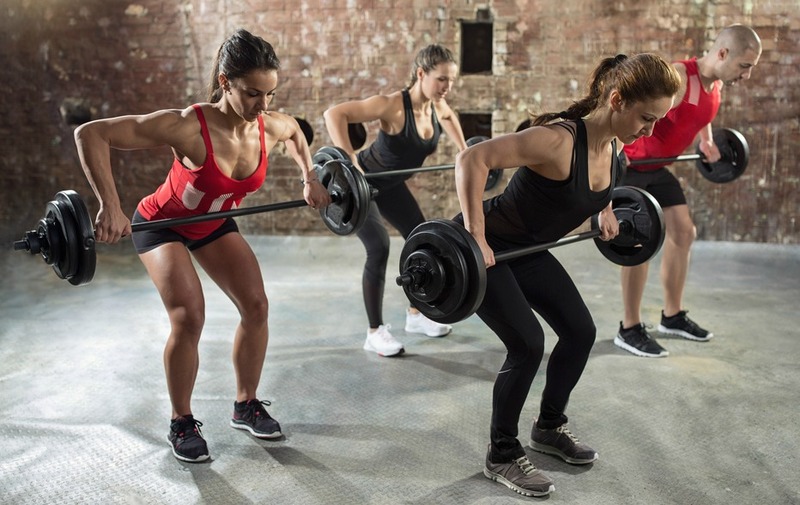 If you strength train or have watched others at the gym performing strength regimens, you’re likely to be familiar with the most common isotonic exercises. Most of the movements often recommended for building muscle strength and size are isotonic movements and should be executed using the highest amount of weight you can control while maintaining good form through each set. Start standing upright with a dumbbell in each hand. • Begin the movement by sticking your buttocks out behind you and bending your knees. • Lower down as far as you can control, keeping your chest at the same angle as your shins. • Push up through your heels and squeeze your glutes to come back up. • Repeat 8 to 10 times for one set. Stand straight, holding a dumbbell in each hand in front of your thighs. • Lean forward, sticking you buttocks out behind you and contracting your core to maintain a flat back. • Lower down as far as you can without bending your knees. • Squeeze your glutes to come back up. • Repeat 8 to 10 times per set. Start on your hands and knees or hands and toes in a plank position. • Slowly lower down as far as you can go, bending your elbows out to the sides. • Push back up at the same pace. • Repeat 10 times per set. • Place a weight plate on your back or wear a weighted vest to increase the intensity. Other familiar and beneficial isotonic exercises include dumbbell and barbell curls, bench presses, shoulder presses and crunches. Note both squats and deadlifts may also be performed using a barbell. Incorporate rounds of these isometric exercise examples into your workouts on a regular basis to target specific muscle groups and eliminate weak spots in your isotonic training. Stand near an open wall and place your back flat against it. • Squat down, stepping your feet out as necessary, until your legs reach 90 degrees. • Contract your thighs, core and glutes to hold the position for at least 15 seconds. • Rest and repeat 10 times for one set. Hold onto weights to increase the difficulty. Lie on your stomach with your hands or elbows under your shoulders. • Push up onto your palms and toes or forearms and toes. • Contract your core and your glutes to prevent your hips from hiking up. • Hold the tension for at least 30 seconds. • Rest and repeat five times, or see how long you can hold the position before lowering down. Start in a regular pushup position on your hands and toes or hands and knees. • Lower halfway down, pausing for one second. • Lower all the way down, pausing with your chest hovering above the floor for one second. • Push back up, following the same pattern. • Repeat 10 times to complete one set. Lie on your back with your heels close to your buttocks and your hands at your sides. • Push up through your heels, contracting your glutes and the backs of your thighs. Avoid pushing down with your hands. • Hold the position for at least 10 seconds. • Rest and repeat 5 times for one set. 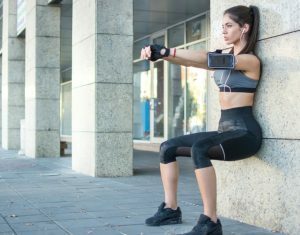 You can add isotonic and isometric exercises to your current workout routine on your own or work with a qualified trainer to build a program uniquely tailored to your goals. Because many of the exercises can be performed with little or no equipment, you can stay consistent with your routine even when you don’t have access to weights. Sticking with your regimen is key if you want to see your results compound over time and enjoy the gains in strength, endurance and range of motion a combination of isotonic and isometric training can provide.